Fill a large bowl with ice water. In a large saucepan of salted boiling water, blanch the haricots verts until crisp-tender and bright green, 2 to 3 minutes. Drain well and transfer to the ice water to cool. Drain and pat dry with paper towels. Meanwhile, in a small bowl, whisk the preserved lemon peel with the olive oil and lemon juice. Season the dressing with salt and pepper. 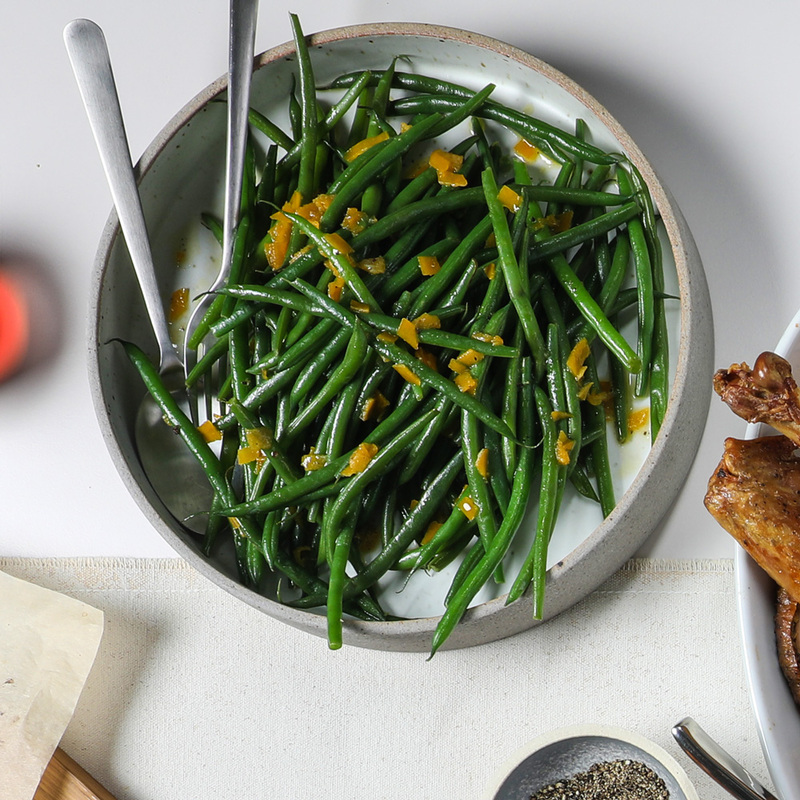 In a serving bowl, toss the haricots verts with the dressing. Season with salt and pepper and toss again. Serve chilled or at room temperature. The blanched haricots verts and prepared dressing can be refrigerated separately overnight. You can buy preserved lemons at most grocery stores or on amazon.com.